To electronically access your OMPF, you must have a Common Access Card (CAC), Army Knowledge Online (AKO) account or Department of Defense Self-Service Logon (DS Logon) account. Additionally, you must have served in the U.S. Army, Army Reserve, or Army National Guard after April 1, 1996. Please refer to the “Location of Military Personnel Records” section of this article to determine your options for electronically accessing your OMPF. 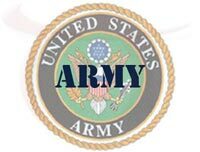 If you are a Veteran or Retiree that separated from the U.S. Army, Army Reserve, or Army National Guard before April 1, 1996, you must submit a request for your records. Please refer to the “Location of Military Personnel Records” section in this article.